In 2015, then-Gov. Mike Pence made the controversial decision to keep the Indiana Toll Road under the control of a consortium of private corporations, which was represented by a local lobbying firm that had funneled large donations to Pence’s gubernatorial campaign. This year, the same lobby firm signed up to press the Donald Trump administration on behalf of IFM Investors — the same foreign company that Pence originally approved to run the toll road consortium. In response to IBT's questions, White House spokesperson Natalie Strom said in a written statement that Trump “has made it clear that his priority is investment in American infrastructure” and that White House staff “welcome foreign companies who recognize that under President Trump, building American infrastructure is a good investment.” She pointed to a January memorandum pushing for the use of American steel in future pipeline projects. Last week, an IBT investigative report documented how Pence, in 2015, rejected local counties’ bid to reclaim the 155-mile-long Indiana Toll Road, after the private consortium operating it declared bankruptcy. In making that decision, he also rejected Democratic U.S. Sen. Joe Donnelly’s request that he consider having the state disband the private consortium and take back the road. State records reviewed by IBT show Pence received more than $116,000 from Bose, McKinney & Evans LLP — the parent company of Bose Public Affairs Group LLC, which served as the lobbying firm for the consortium. Fast forward less than two years later: Only weeks after Pence was sworn in as vice president, and had visited Australia to pitch foreign investors on the Trump administration’s privatization plan, Bose registered to lobby for IFM in Washington. The company lobbied specifically on “infrastructure investment,” a gig that netted Bose $80,000 so far this year. In subsequent federal documents filed as Pence continued to advocate for privatization, Bose listed “Vice President of the U.S.” as one of the people it contacted on behalf of IFM in its lobbying on the Trump administration’s “plan as it related to publicly-stated infrastructure investment.” Bose has also expressly lobbied Pence on other issues, such as health care policy, on behalf of the insurance giant UnitedHealth Group, other filings show. Lisa Gilbert, the vice president of legislative affairs at the consumer rights advocacy group Public Citizen, said while Pence’s connection to the firms was “unsavory” and “raises red flags,” no conflict-of-interest or ethics rules had been breached, and the use of such ties is a commonality in Washington. In a crowded market for infrastructure, she noted, the potential beneficiaries will do what they can to get ahead of the competition. In a statement, IFM Executive Director Tom Osborne asserted that “infrastructure procurement involving the private sector is generally subject to significant probity processes, which ensure that governments of all levels are selecting the best value-for-money proposals from competitive fields of bidders.” Osborne did not address questions related to Pence’s history with the firm, or its lobbyist’s history with Pence, and whether that raised conflicts-of-interest or ethics concerns, or how IFM is working with the White House to shape infrastructure policy. Bose did not immediately return requests for comment from IBT, nor did Pence’s office. 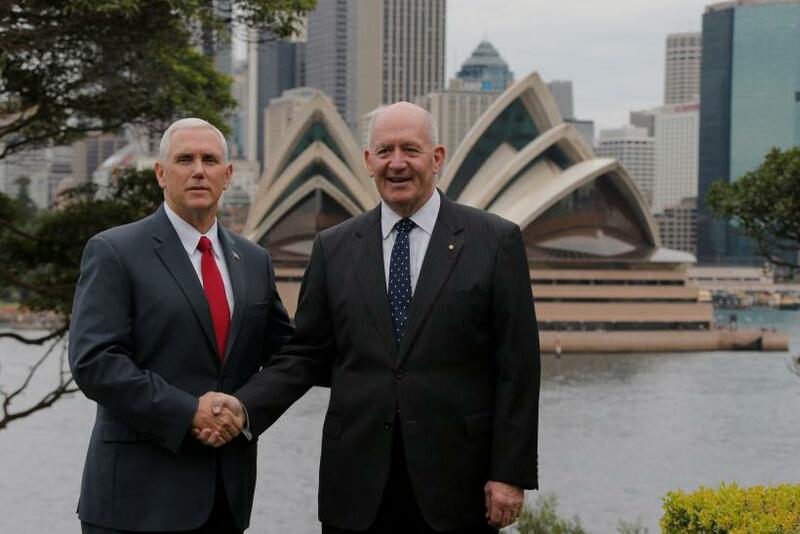 During Pence’s April visit to Australia — which took place during the same quarter in which Bose reported that it had lobbied Pence — the vice president explicitly promoted IFM, and as recently as June, representatives for Australian firms like IFM have returned the favor, paying the White House visits to try to influence the administration’s infrastructure initiative. IFM’s chief executive openly acknowledged his firm’s attempts to benefit from the White House’s infrastructure policy plans, telling a newspaper that his corporation wants to invest in American infrastructure under the privatization plan that Pence has been pitching.. In addition to federal records stating IFM directly appealed to Pence when lobbying on infrastructure, another filing shows — through its other main lobbyist, Mayer Brown LLP — IFM lobbied the National Economic Council. The council’s director, Gary Cohn, previously served as president and chief operating officer of Goldman Sachs, another frequent participant in public-private partnership infrastructure projects. Goldman raked in millions of dollars in fees for its work on the original 2006 deal to privatize the Indiana Toll Road. Bose and IFM are not the only foreign corporate interests linked to Indiana that have been lobbying the Trump administration on its infrastructure privatization plan. Sydney, Australia-based Macquarie Group — the investment firm that partnered with Goldman on, and bankrupted, the Indiana Toll Road — is also pushing its infrastructure agenda in Washington. And it has good reason to: As a previous IBT report on public-private infrastructure projects found, Macquarie has been a leading investor in similar projects in Dallas, Denver and Norfolk, Va. and in a bridge connecting New York’s Staten Island to northeast New Jersey. A federal lobbying form for the second quarter of this year showed Macquarie, through the firm K&L Gates LLP, lobbied the House, Senate and Department of Transportation on “issues related to asset recycling,” a common term for infrastructure privatization. A former Macquarie executive, DJ Gribbin, now works on infrastructure policy at Trump’s NEC. He previously served as the Department of Transportation’s general counsel and as chief counsel of the Federal Highway Administration under President George W. Bush. Spanish transportation infrastructure giant Cintra SA, another member of the bankrupted Indiana Toll Road consortium, has also been busy on the lobbying front. This year, Cintra paid SB Capitol Solutions close to $40,000 to lobby on “legislation, authorization and appropriations bills related to issues of private company financing for transportation infrastructure,” lobbying forms show. The group also lobbied to “streamline and expedite environmental reviews for infrastructure projects,” a priority that is expected to be enshrined by Trump’s infrastructure-related executive order on Tuesday. AIAI’s lobbying went through the public-private partnerships-focused firm ThinkP3 LLC — which is run by former Republican congressional staffers.